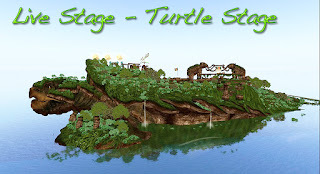 SL Newser - People: SL10B - Meet the Lead Stage Managers! SL10B - Meet the Lead Stage Managers! I could not be more excited about Second Life’s™ tenth birthday. It is almost impossible to believe that there has been a whole decade of virtual world existence. The preparations for this gigantic party have been ongoing for several months, and SL Newser is glad to give you some inside glimpses. Second Life™ is a worldwide, and that means that there are residents active all the hours of the day and night. The four incredible stages of SL10B will be filled with talent around the clock. If you wonder how that gets done; wonder no more. Each stage in the 20 sims (plus two provided by Linden Lab!) has a lead manager, and I will let you get a little peek into the the lives of these residents. 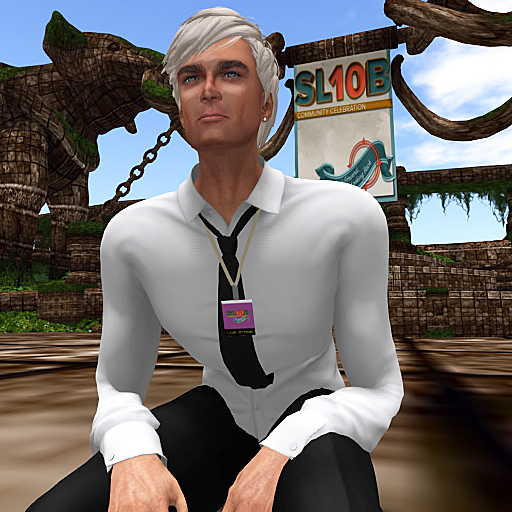 SL Newser: How did you find out about Second Life™, and what was it about this world that kept you here? Fedora Jones: I really don’t remember how I first heard about Second Life™, but it was probably some random mention of it on some random web site. I'm sure it wasn’t a First Life friend who told me about it because I didn’t know anyone in SL when I set up my account. I stayed because I wanted to get involved in singing once I had a better computer. Once I got my computer hardware upgraded, I was able to join the SL music community. SL Newser: How did you come to be a stage manager for SL10B? Have you worked a birthday celebration before? 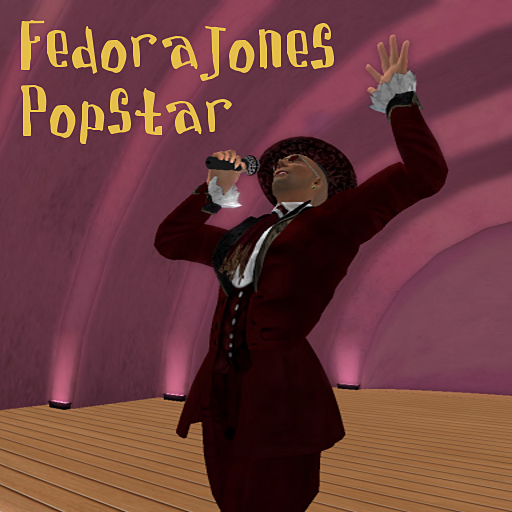 Fedora Jones: My first real show in SL was as a singer was at SL8B, and the new (at the time) CEO of Linden Lab visited my show. So, the SL birthday event has some sentimental value to me because it’s my anniversary, and I wanted to “give back,” if possible. I was a Stage Manager at SL9B, and I assume that I was asked to be a Stage Lead for SL10B due to my outstanding performance as a Stage Manager at SL9B-LOL. SL Newser: What are your duties going to be like during the celebration? Fedora Jones: Basically to “herd the cats” and get everyone in the right place at the right time. Seriously though, my primary duties are to schedule the performers and Stage Managers for the Lake stage, and to distribute information to those people. SL Newser: Can you give us a peek/preview of some of the entertainment you will be hosting? Fedora Jones: The Lake stage is a "Mixed" stage, meaning that it has both deejays and live performers. Most of the performers at Lake are deejays, but Sunday afternoon will be mostly Live performers. 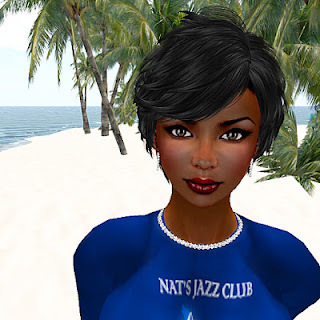 SL Newser: What would you like folks to know about Second Life™? Or, anything else you want to say. Fedora Jones: In spite of all its pixelated prettiness and technology, Second Life™ is still based on real people. For that reason, you’ll experience in Second Life, most if not all of the emotions, and “issues” you have in real life. GOLAN: I heard about it on the news. It was Friday evening on Channel 2. They were talking about how people were making money, so I wanted to see what that was like. After that, I stayed because of the people; what they make you feel. GOLAN: I started to do this long time ago (this is my 6th year in the SL), and the sixth SLB event. I started at 2008 at SL5B, but wasn’t a stage manager back then. We were greeters and moderators, I think. In SL6B I was Stage Manager for the first time. Performance Staff training and coordination, as needed. Performance Staff scheduling, as needed. Performer and Deejay applications and schedule(s) assignments, as needed. Volunteer applications and assignments, as needed. Interviews / Subject matter expertise regarding the stages, performers and performance. Basic Security of the stage areas. GOLAN: It’s going to be literally 24/7 music for eight days. Some of the Deejays are top of the line Deejays in SL. Playing different genres: trance and techno, and even pop music (smile). SL Newser: (homage to Metaverse Messenger): Pie or cheese, and why? GOLAN: Pie. pie is sweeter (grin). SL Newser: Last, what would you like folks to know about Second Life™? Or, anything else you want to say. GOLAN: SL is the best virtual world I know. I also love being here and taking part in this amazing event. Some people make you feel this is your second family. Linda: I learned about Second Life at my former University, which had an initiative for faculty to teach using virtual worlds. I basically came to use SL to teach my classes and stayed because of the music and the people. Linda: I started as a greeter in SLB6 or 7. I was a stage manager in SLB8. I had met Doc (Gascoigne) when I was an SL Mentor. He knew that I owned a jazz club and asked me to be the lead on the Cake stage in SLB9, and again this year. I feel very strongly about making a positive contribution to the SL community. Linda: Basically to make sure that the residents who come to the Cake Stage have a great time! That means making sure that the performers start on time with as few problems as possible. I’ll manage a crew of Stage Managers along with my assistant lead, Laura Polke. We change and test the streams, handle any griefers, coordinate with the sim coordinators if there are land problems, and just overall run the stage. Linda: Well, we have a mix of genres and types of entertainment on the Cake stage: Deejays of almost every type of music: jazz, country, trance, house, R&B, blues—just about anything. We will also host dance troupes and tribute bands. SL Newser: (Homage to Metaverse Messenger) Pie or cheese, and why? Linda: Pie...cuz cheese doesn't like me. Linda: That SL is a place where you can be and do whatever you choose to do. You can create, run a business, or just hang out and listen to some of the best recorded and live music anywhere. But more importantly, you can meet lovely people from all over the world, many of whom can become great friends! Jahman: I’ve been involved in online communities of one sort or another since 1979, starting with ARPANet (Ed’s. Note: Wow! That’s the beginning of the Internet), through CompuServe and AOL, Delphi and PlayNET, IRC, and so on. I’ve also been a programmer since that same time working in, among other things, 3D graphic display platforms and software. I had always imagined that eventually there would be a way to intermingle the two: a 3D environment that would be a social community, so you might say that Philip (Linden) Rosedale and I were soul-brothers. 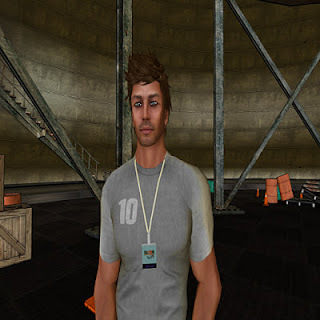 I knew about Second Life™ from its inception from the trade magazines and web sites, but did not actually arrive here until 2006, after reading the article in WIRED magazine regarding Philip receiving their Rave Award for Innovation in Business. Of course, once I did arrive, I found a world very close to what I had indeed anticipated; was immediately enthralled by the rich building and scripting tools and the depth of community; and, despite all of its flaws, I have never been too far from this place ever since. SLNewser: How did you come to be a stage manager for SL10B? Have you worked a birthday celebration before? Jahman: My first SLB was SL7, when one of the organizers approached me in the last weeks prior to start, to ask me to assist the Lead in managing a new stage to handle an overflow of acts for which there was no room on the other three original stages. 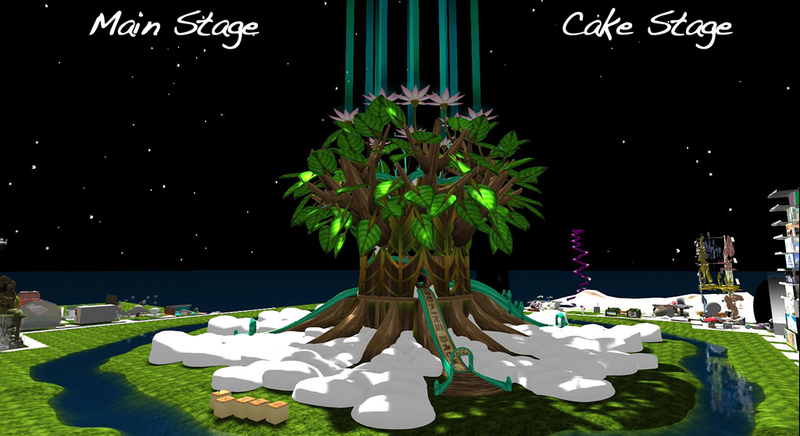 That was the first year that the “Cake” stage came into being. (Of course, now, Cake is the largest of all the stages in SLB). During SL8B, I was again the assistant to the Stage Lead for Main stage, the last year it was called such (now it is called “Live,” to distinguish the fact that it has, exclusively, musicians and singers). That was the first year I was involved from the planning phase and really learned the whole process, from start to finish, that goes into making this event happen. SL9B was the first year that Linden Labs relinquished their sponsorship, and it was not clear there would even be an organized, multi-sim event. As such, that planning phase was much shorter once we decided to move forward without the Lindens, using donated land. I was still right there when the call went out, and in the span of two months—this time as Stage Lead in my own right for the Lake stage—we put together one of the best SL Birthdays ever! This year for SL10B I was offered the Stage Lead for the Live stage, and there was no way I would have been happier. I’ve been a musician (singing since I was six months old!) all of my life, and music in Second Life™ is my second passion after scripting. Jahman: As Stage Lead for the Live stage, most of my duties were prior to the celebration. I was responsible for scheduling, contacting and confirming the 120+ performers who will be appearing there during the event(! 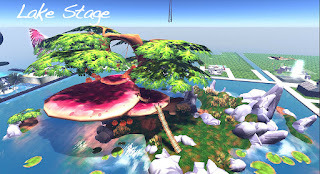 ); recruiting, scheduling and training the staff of 15 Stage Managers who will actually manage the stage during the performances; and collaborate on the details of the stage build with the incredible builders who created the stage and its surroundings on the two sims that make up Live this year. Once the event starts (and Live stage traditionally has the first performance of SLB, after the opening ceremonies on Cake stage), it will be non-stop music here with performers back-to-back from 7:00 AM to Midnight SLT for eight days straight, At that point, I will be turning over most of the responsibilities for managing the hour-by-hour details of the stage to my team, of whom I am most proud. We work together as a unit, to make sure that every performer arrives on time, gets on stage with a working stream when they are scheduled, and has the opportunity to give the very best show possible. My role will be to make sure my team has anything they need during the event to make that happen, as well as fill in for the various roles involved where there are gaps in the schedule. Jahman: My goodness, with over 120 performers, all of whom are at the top of their game, it's hard to be that selective! Pete Mroz (Pilgrim75 Swashbuckler in-world), LindiMoo, Lyrica Acoustic, Ilianor Illios, Tone Uriza, Premium Composer, Sioux Nikolaidis, Debi Latte - and the opening act this year is Mimi Carpenter. These are just a handful (or two!) of the absolutely incredible mix of musicians and acts, which includes dance troupes and cheerleaders! Without a doubt, I can say this is the very best overall collection of talent that we have ever offered on an SLB stage. SL Newser (in homage to the Metaverse Messenger): Pie or cheese, and why? Jahman: Second Life™ is not a game. It’s a community of creative and passionate people in an environment truly unlike any other in the history of humanity, and representing a concept of reaching out beyond the physical world to form a place fueled completely by collective imagination. Whatever the future holds, that vision came to full fruition here first, and I am hopeful it will forever be remembered as such. So, there you have it. 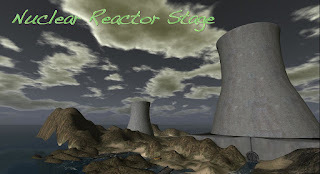 I think you will agree that the Stage Leads are a diverse and worthy group of Second Life™ residents. Say hello to them as you groove to the entertainment they provide.